As a result of work by NFU Scotland, more Scottish and British lamb is making its way onto retailers’ shelves. A number of supermarkets have been staunch supporters of Scottish and British farmers, stocking their shelves all year round with home produced lamb. 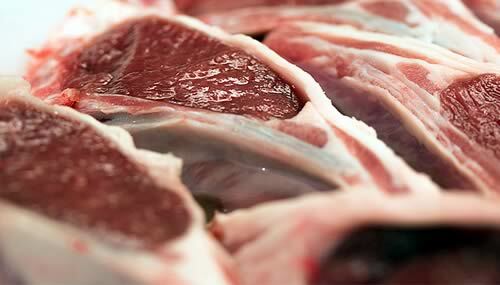 However, others traditionally switched to bringing in imported lamb in spring and early summer. The Union has been encouraging those retailers to consider extending the season for Scottish or British product. The Union made the point that a few weeks at the start or end of their normal season for buying home produced lamb would make a significant difference to the sheep sector. Retailers Aldi and Lidl remain committed to exclusively stocking Scottish lamb, with Morrisons also selling home produced lamb all year round. The good news for Scottish sheep producers is that others are now pushing forward with their commitment to selling and sourcing more Scottish and British lamb. Marks and Spencer sold early new season lamb in UK stores over the Easter period, and they are expecting a new season changeover from imported to home produced in the first week of June. That honours a commitment made, following discussions with NFUS, to extend the period in which they sell British lamb. The Co-operative is also extending the season for domestic lamb, now aiming to start stocking in mid-June, and Sainsbury’s began stocking new season home produced lamb in late March, with the beginning of July marking the period that it will be sourcing 100 percent domestic. The Union remains in dialogue with the UK’s biggest retailer, Tesco, about how it can better support Scottish sheep producers through its sourcing policy although there is no change to report at this time. “It is a tribute to the hard work of Scottish sheep farmers that we are starting to grow the home market for Scottish lamb by extending the domestic lamb season. “Because of the fantastic story we have to tell about Scottish lamb, our members have shown a willingness to work with supermarkets, restaurants and butchers to grow demand. The activity the Union has undertaken both through tasting sessions outside stores and shops, getting lamb onto menus and behind the scenes with retailers is starting to pay dividends. “There is positive progress and while the farming industry strives to increase sales of succulent Scottish lamb through all outlets, it is welcome that it is now appearing on more supermarket shelves for more weeks in the year.